All good things must come to an end, unless they don't that is. 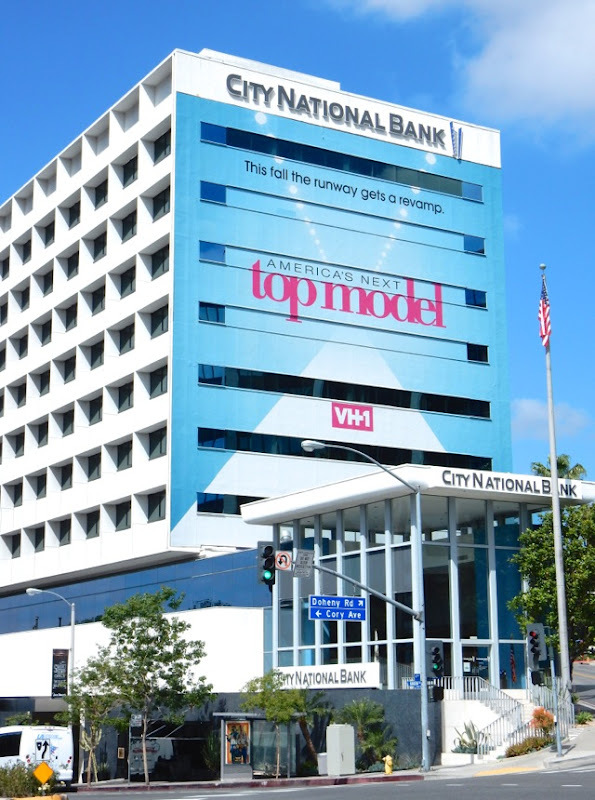 After twenty-two cycles (or seasons to us lay folk), the modeling reality show competition, America's Next Top Model, which we'd thought had breathed its last gasp on the runway has been picked up by VH1 for a twenty-third season. 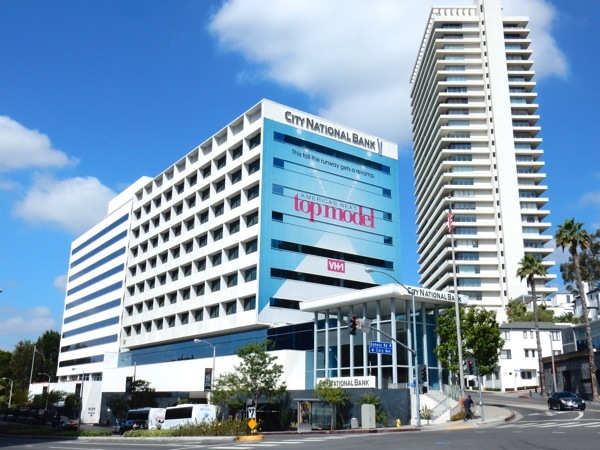 Debuting this Fall, even though the series creator supermodel Tyra Banks will not be part of the judging panel, she will serve as executive producer on the show (although a lot can happen between now and then). 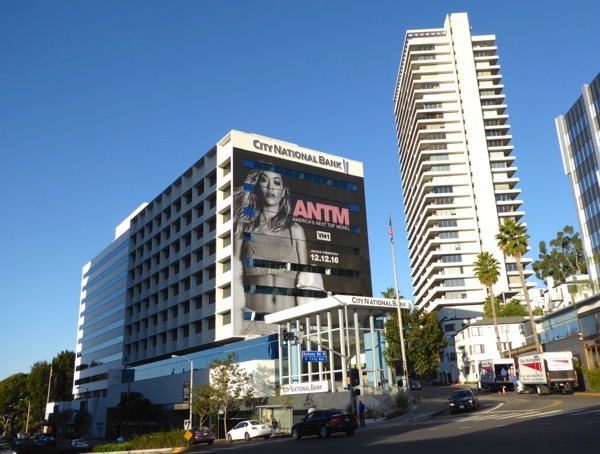 This super-sized tease for the new incarnation of the show was snapped at the border of West Hollywood and Beverly Hills at the start of the Sunset Strip on May 1, 2016. 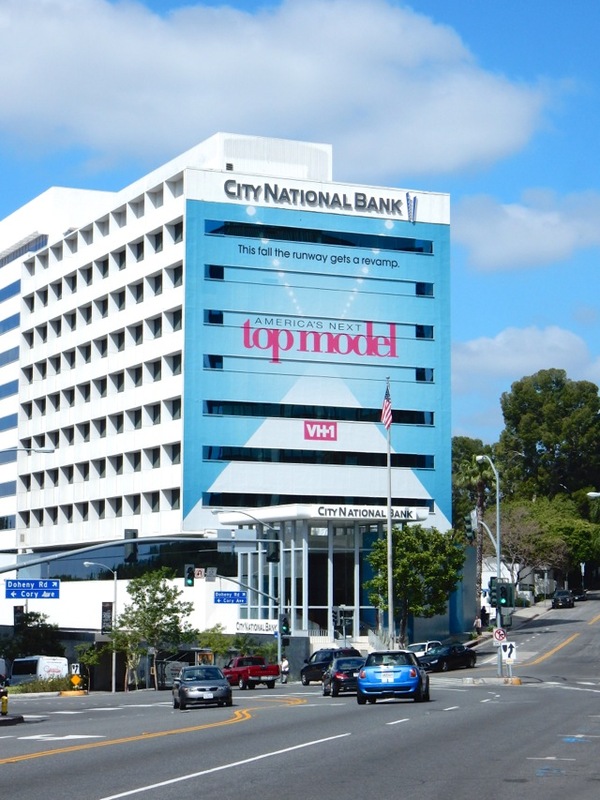 The final season winner on The CW, the deaf and insanely handsome model Nyle DiMarco, also won the latest Dancing with the Stars glitterball troph, so after all these seasons ANTM is still producing talented aspiring models and celebrities in their own right. Who will be involved, what changes will be made and most importantly who will win? 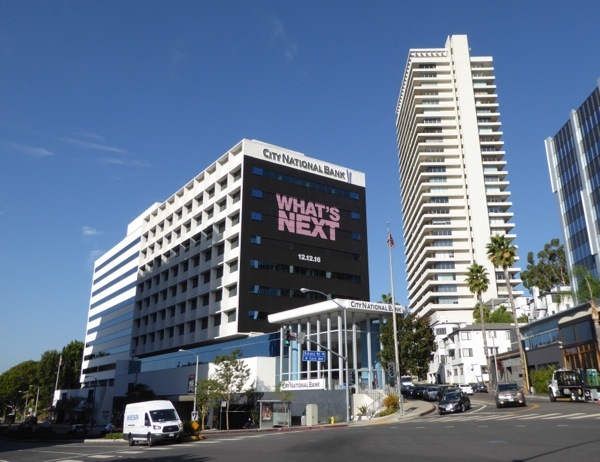 Daily Billboard is sure we'll learn more details (and see more billboards) before the new revamped season launches this Fall. 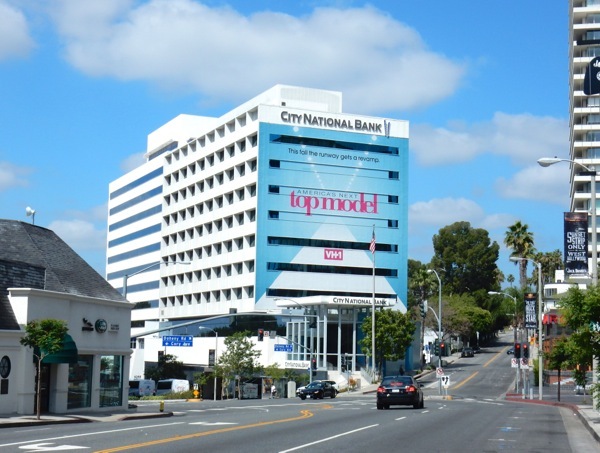 UPDATED: Here's another giant tease for the new season of America's Next Top Model snapped in the same Sunset Strip location on September 23, 2016. 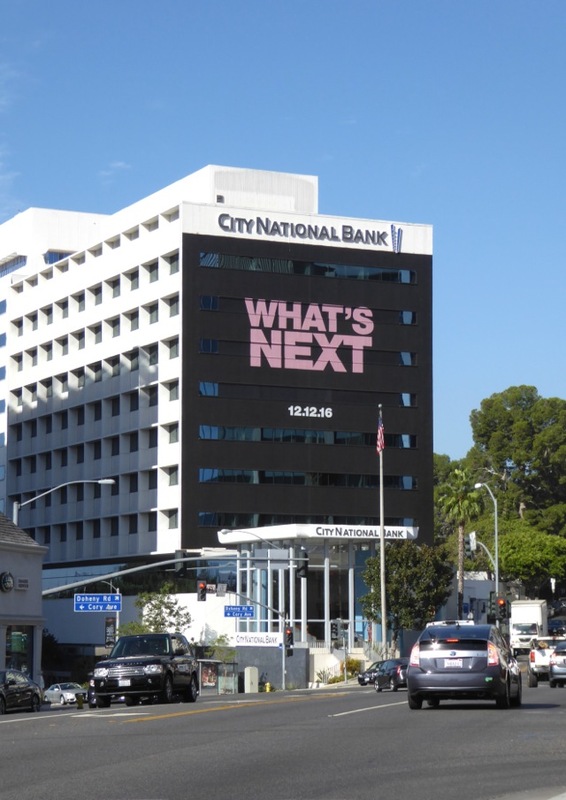 This cryptic 'What's Next' billboard even had some Beyoncé fans on social media wondering if this was the diva's next big project because of the typeface used. The revamped reality competition show will be hosted and judged by singer Rita Ora, with supermodel Ashley Graham, Paper magazine Chief Creative Officer Drew Elliot and celebrity stylist Law Roach also joining the judging panel. 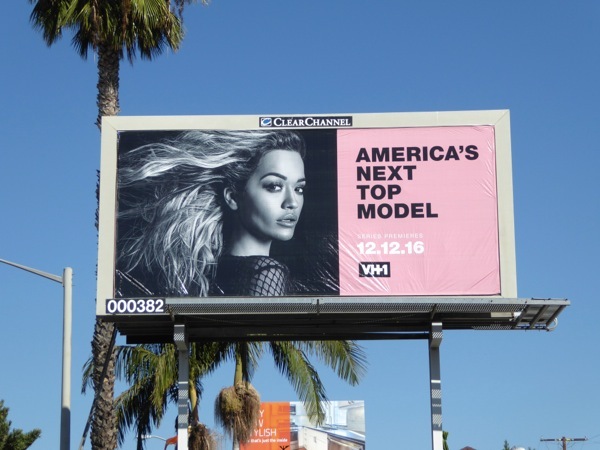 Plus here's a new billboard for the series shining a spotlight on Rita Ora, snapped on October 19, 2016 along Fairfax Avenue. UPDATED: Following over six months of teasing, here's the super-sized ad creative for the rebooted reality modeling show. 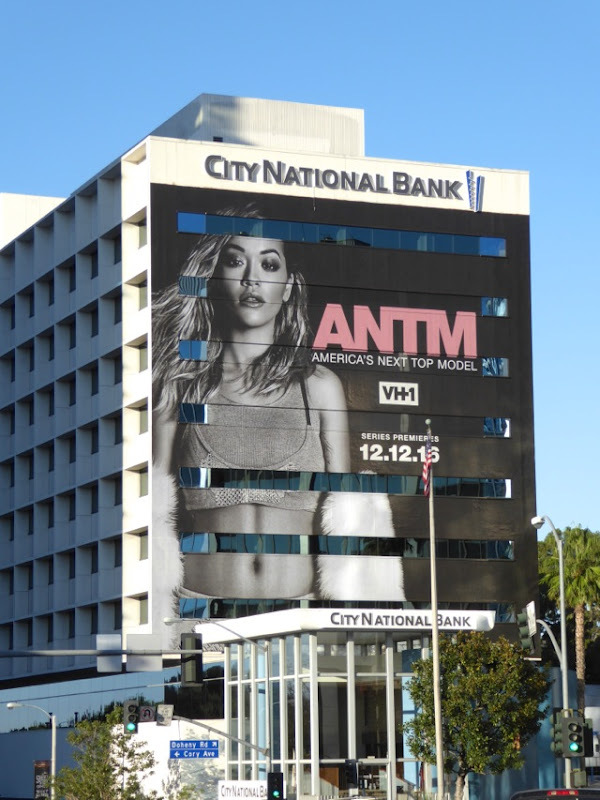 This giant-sized billboard was photographed in the same ad location along West Hollywood's heavily trafficked Sunset Strip on November 3, 2016, just in time to promote the show's mid-December debut. 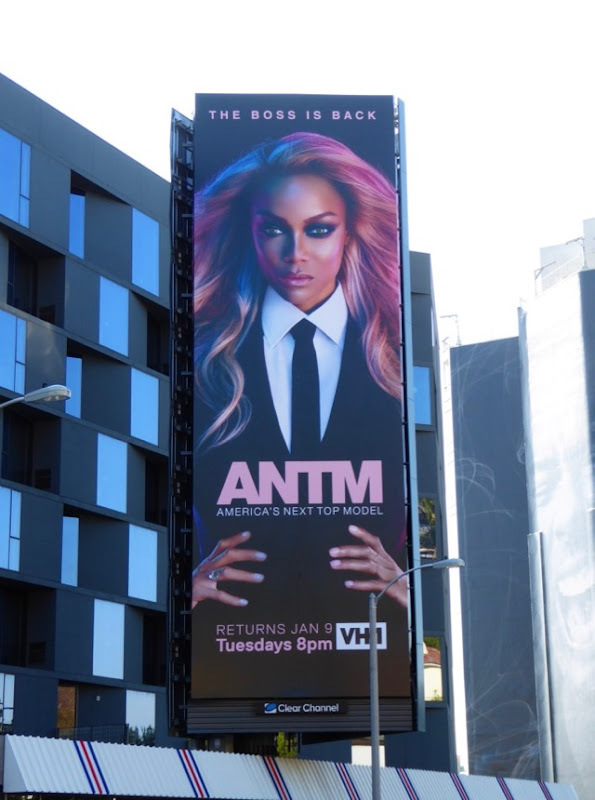 UPDATED: Following the switch to VH1 last season, the boss is back as Tyra Banks returns for the show's twenty-fourth cycle. 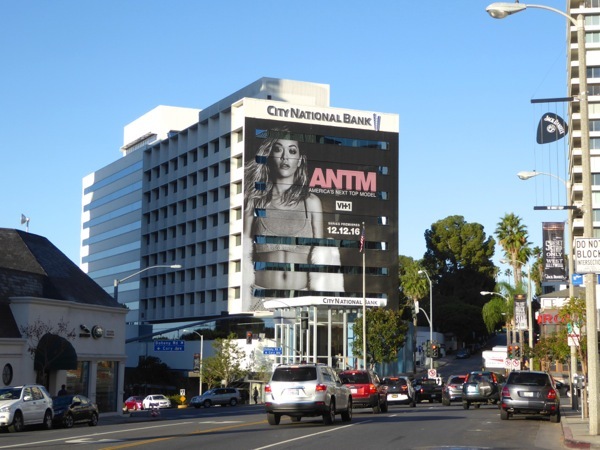 Here's a billboard announcing her return snapped along West Hollywood's Sunset Strip on January 5, 2018.